raising redheads: Oh So Pretty. A few months ago, after changing my hair color about a million times, bleaching and dying and straightening and drying and curling it constantly, I noticed that it was completely fried. Dead. No going back. My sister trimmed and thinned and we got it somewhat manageable but ultimately it is doomed. It was then that I went into a local store and bought Suave's styling oil from their Moroccan infusion line, a professional yet affordable product line for women just like me. 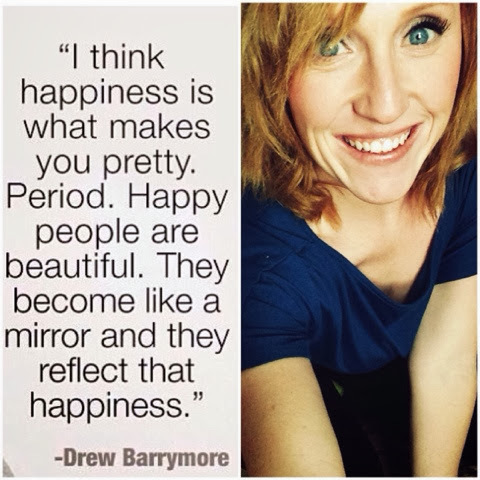 Yesterday as I sat down to write this post I began to think about what makes women feel pretty. What is it that makes us feel beautiful? I put a photo on instagram and asked for opinions from other women and the results weren't surprising. A great red lipstick, shiny nails, a patterned scarf. Headbands, new jeans, a great hair cut. Yet strangely not one response was about skincare. It intrigues me. Is it because we haven't found a skincare line that makes our skin feel luxurious, soft, silky, smooth? It is because we live in this skin and therefore it just feels the way it feels and we've accepted that? What if our skin could feel better, shine more? Would that be an essential part of our beauty routine and daily feel-good application? 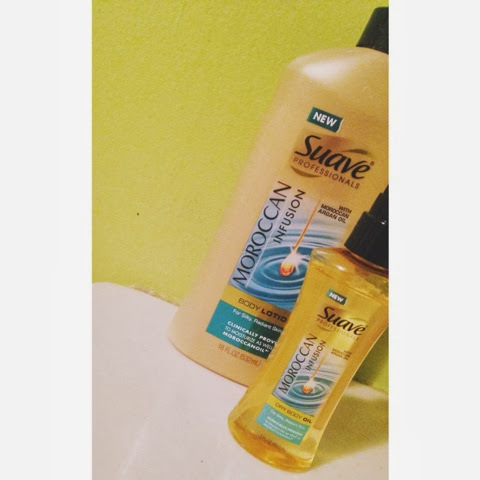 Because I loved the styling oil for my hair so much I decided to look a little deeper into Suave's products. What I found was exciting! For the first time, Suave® Body Care is launching products in the Suave Professionals® line, offering women everywhere access to premium quality products with the finest skincare ingredients. Again, it's affordable but the high quality products leave you feeling luxurious and ultra feminine. Sometimes money is the hang up. I know. After all, I am raising three small kids on my own and I don't always have the extra money to spend on high quality products. What excites me right now is that with new Suave Professionals® Moroccan Infusion Body Care, women everywhere have access to premium products infused with authentic Moroccan argan oil. There are two products that I have tried and absolutely loved! NEW Suave Professionals® Moroccan Infusion Body Lotion is a daily moisturizer that absorbs quickly for up to 24 hours of radiant, non-greasy hydration. And it's true! It was light, airy, smells good and even left a little glow on my skin for hours after application. My skin is naturally a little dry but this lotion seemed to lock in moisture and helps keep me hydrated throughout these long winter days! I also used the lotion on Mabel's arms and legs and loved smelling her throughout the day. She seemed to enjoy her little massage as well. 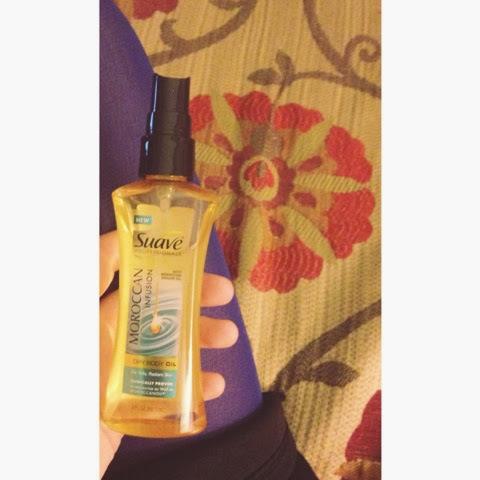 Something else I was anxious to try was the NEW Suave Professionals® Moroccan Infusion Dry Body Oil Spray. It has a non-greasy formula that absorbs instantly and seals in long-lasting moisture. I have used it several times a day since receiving the product last week and even had Rache try. She loved the way it felt and agreed with me that it is such a nice product to have because it's a spray. Quick, easy and small enough to fit in your purse or bag. Oh, I had a certain handsome guy smell both products as well and he was a fan. New Suave Professionals® Moroccan Infusion Body Care products, clinically proven to moisturize as well as Moroccanoil®1 , feature a light, luxurious fragrance and are infused with authentic Moroccan argan oil, a lightweight miracle oil known to be rich in nutrients and antioxidants. Truth be told, I'm not a huge fan of moisturizing typically. That is more my sister's cup of tea as she is obsessed with her skin being soft and how it feels. But I must say that every day since receiving this product, I have been consistently using it and can tell a real difference. You can find more information about the Suave Professionals® Moroccan Infusion Body Care products at www.Facebook.com/SuaveBeauty. Also visit the Suave Beauty Facebook page to get tips for radiant skin, style advice from celebrity stylist Brad Goreski and enter the “Radiant Wishes” sweepstakes for a chance to win Suave Professionals® Moroccan Infusion products, a spa day or a trip to Los Angeles! What makes you feel beautiful? To be honest, after trying this new lotion and spray I can truly say that it made a difference in how I felt about my skin throughout each day. I felt taken care of. I felt light. For a chance to win a $1,000 gift card would you let me know which of the Suave Moroccan Infusion Body Care products you would most like to try? I would actually love to try the styling oil. Since moving to a home that has well water, I have noticed my hair seems more dry and lack luster. I definitely need a kick back into it. I would love to try the dry oil body spray! It's been a harsh winter, and it's not doing any favors for my skin!! I'd love to try the dry body oil spray! I would consider trying the Suave Professionals® Moroccan Infusion Body Lotion. I'd like to try the body spray!! I’d love the body lotion! I'd like to try the Dry body oil spray. I hate lotions that leave me feeling greasy. I would love to try Suave Professionals® Moroccan Infusion Body Lotion! I'd love to try the Moroccan Infusion Body Lotion-the older I get, the flakier I get!